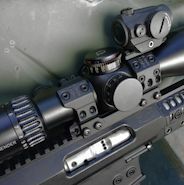 SPUHR's innovative one-piece Mil-Spec scope mount offers unique features such as multiple accessory attachment points, a built-in bubble level, various cants, integrated indexing mechanism and 45-degree ring construction. 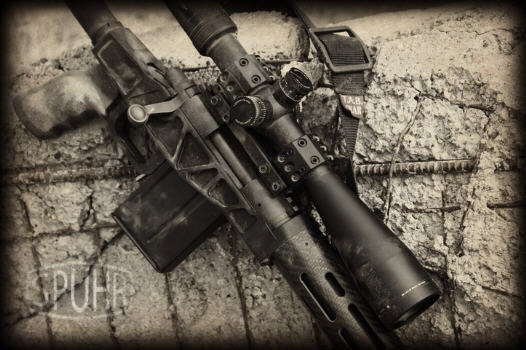 The scope mounts manufactured by SPUHR are extremely sturdy and can be used on light or heavy recoiling sniper rifles. 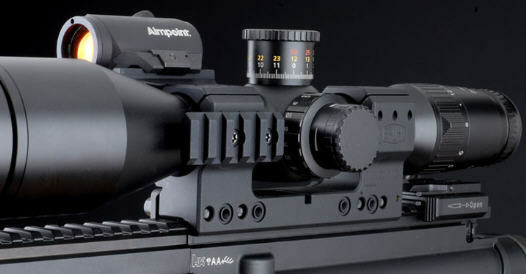 Its innovative construction protects the scope from damage due to flexing during heavy recoil. SPUHR uses a patented solution to index the rotation of the scope. It uses a tool/gauge (included) to correctly index the scope to the mount and gun. The SPUHR unimount rings are cut at a 45 degree angle instead of horizontally as other scope mounts thus providing several advantages. The screws holding the parts together are not in the way of the windage and parallax turrets, thus allowing the shooter to quickly determine the settings of the turrets. It gives the shooter a horizontal line that while not seen directly, helps the shooter to not rotate his gun unintentionally. Finally, the rings have an index mark on the top and on the right side, making low turrets easily readable. SPUHR's revolutionary design allows the use of various accessories such as the angle cosine indicator, back up sights, lasers etc. With traditional mounts this can be achieved only if there is sufficient space on the middle tube for additional rings. 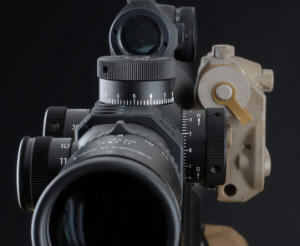 The SPUHR Sniper Mounts have interface surfaces directly built on the mount, thus making it possible to mount accessories either by Picatinny rails or as direct interfaces for certain accessories such as the angle cosine indicators and red dot sights. CORETAC SOLUTIONS carries a selection of interfaces for popular accessories. 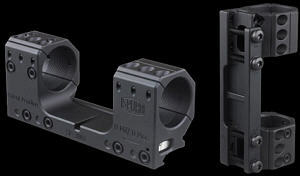 The SPUHR sight mounts have an anti-cant level included inside the mount which is easily seen during low light conditions. 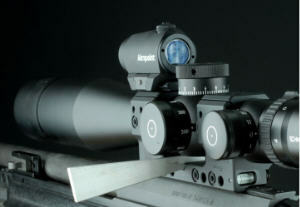 The SPUHR unimounts come in various tilt configurations starting from zero to 40 MOA with standard tilt being 20 MOA or 30 MOA. The tilt is clearly engraved on the mount. The company started a few years ago in Sweden and has been developing solutions for major manufacturers, international military forces and law enforcement customers. All of their products are designed and manufactured locally in Sweden. This gives the company maximum control over their production thus ensuring the highest precision and quality control.